The 2011 census tells us that 6-7% of the population, or 70-90 million people, in India are disabled. The actual numbers are larger. 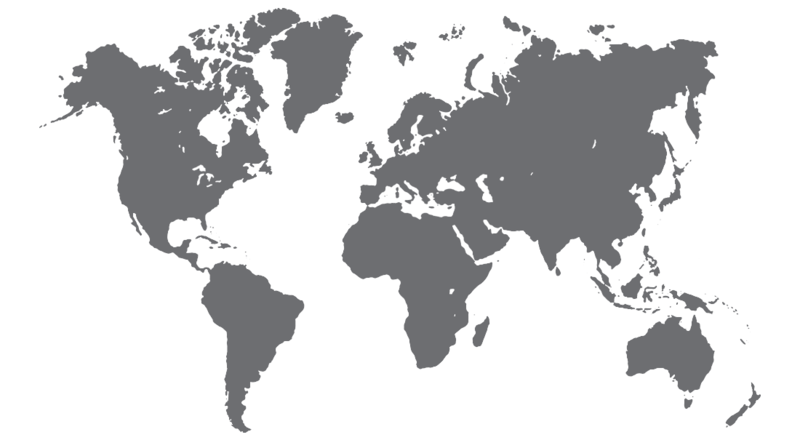 According to a WHO estimate, there are 1 billion Persons with Disabilities (PwDs) globally — which means 15% of the world population, on average, is disabled. Logically, India too will have 15% or more PwDs. But that figure doesn’t show up in surveys and studies thanks to the fact that disability is a social taboo and largely goes unreported. This is in addition to the fact that the definition of disability framed by India fails to effectively identify all PwDs. The Persons with Disability Act, 1995, adopts a medical definition. In reality, society tends to view impairment beyond the medical definition. But there is hope. Even considering the conservative 6% figure for PwDs, somewhere between 3 to 5 million are educated. In 1999, the National Centre for Promotion of Employment for Disabled People (NCPEDP) observed that only 100,000 were employed in corporate India — even today not much has changed. The average employment rate of disabled people in the private sector was only 0.28% and in the public sector it was at 0.54%. A 2008 study commissioned by the Planning Commission showed why the figures were so abysmal: PwDs are unaware of their employment rights, the source of information was employment exchanges and television with both proving to be ineffective, and many states were not observing the guidelines set for employing PwDs. In other words, there is lack of social, administrative and political will. The good news is that labour markets are improving. The IMF forecasts that India’s growth rate will stay at 7.5% for 2016-17. If the trend continues, it will lead to an expansion in the labour markets. For the next few years, India will look for inexpensive, but reliable, labour — and where will this labour come from? The educated but invisible PwD segment can easily help fill this gap. This is pool of talent has, time and again, proven that it is dependable, focused, productive and loyal. The question is: How do we skill them appropriately for industry requirements in the coming months? The first step is to focus on policies that protect the rights of PwDs, inform them of the available opportunities, ensure access to training, and create methodologies to fund the training or make loans available to PwDs. Some of this work has already been initiated. The department of empowerment of persons with disabilities under the ministry of social justice and empowerment has begun to put such steps in place. 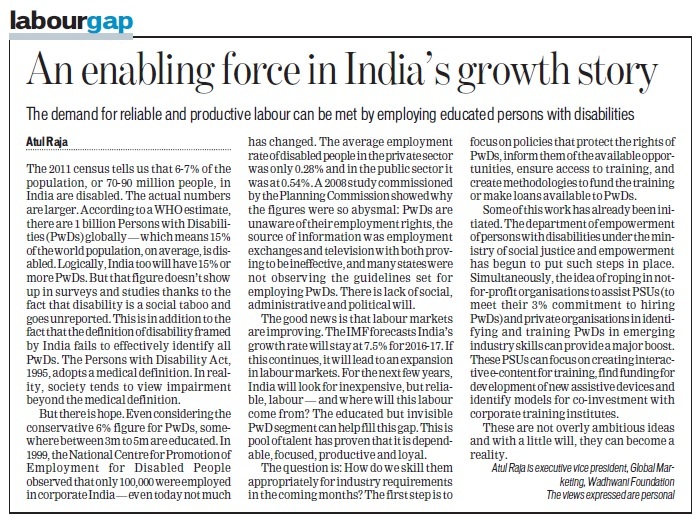 Simultaneously, the idea of roping in not-for-profit organisations to assist PSUs (to meet their 3% commitment to hiring PwDs) and private organisations in identifying and training PwDs in emerging industry skills can provide a major boost. These PSUs can focus on creating interactive e-content for training, find funding for development of new assistive devices and identify models for co-investment with corporate training institutes. These are not overly ambitious ideas and with a little will, they can become a reality.